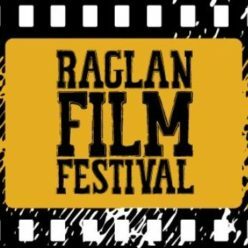 RAFFA Nominees in Group A screen at the Old School Arts Centre on Monday 17th September at 6.30pm and Friday 21st September at 4.30pm. No reserves. Entry by koha. town. It’s a summer of adventure, friendship and the pursuit of romance. own her family’s safe return to Raglan. group of 30-something year olds. with losing yourself to find yourself and letting go whilst on holiday. so good, but mainly just an excuse to showcase some good tubes. 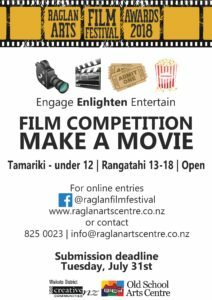 A stay in Ahipara at a couple of Raglan expats’ place, turns into a comedy when the filmmaker tries to go fshing. painting, exhibition, yummy food and slam poetry.